Looking for a captive bred baby snapping turtle for sale? Tortoise Town has some of the nicest baby snapping turtles for sale anywhere in the USA! 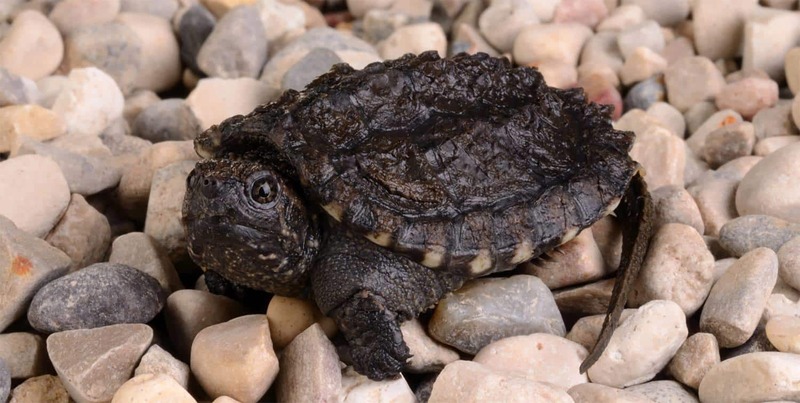 Order up to 4 baby snapping turtles for sale and only pay one shipping fee! Captive bred baby snapping turtles for sale really aren’t as scary as they look. If you get one as a baby you have a very good chance of it being friendly as it matures. Once the pet snapping turtle is familiar with you, it is actually a very nice semi-friendly turtle. With their dinosaur-like appearance, they are definitely a prehistoric looking reptile. 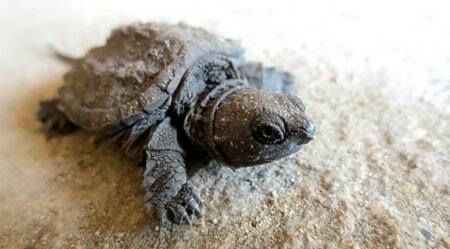 Common baby snapping turtle can eat Aquatic Baby Turtle Food that we use on all our baby turtles for sale. Be sure to wash your hands good with soap and water after handling your baby common snapping turtle. 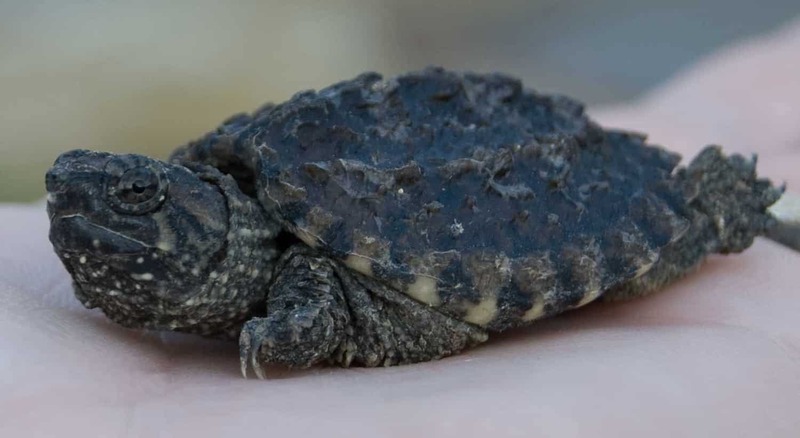 We currently have some fabulous snapping turtle hatchlings for sale (about 1″), as well as well started baby snapping turtle for sale (about 1.5″ ) and yearling snapping turtles for sale which are about 1.5-2″. Snapping turtles grow around 1 inch per year. Snapping turtles can live 80-100 years and grow from 20- 40 pounds. Remember when searching for any tortoises for sale, including a new baby tortoise for sale, tortoise town is your source for the best tortoise for sale , baby tortoises for sale and turtles for sale turtle store anywhere. Baby snapping turtle making eye contact. Caring for a baby snapping turtle for sale is not really hard, as long as you understand that there’s just the necessary time involved, and you need to make sure you create a good habitat and establish good practices to make sure your turtle lives a long time and is most importantly happy and comfortable. When a snapping turtle is a baby, it is very cute and hard to resist. However, they tend to get really large (up to 18 inches long and 86 pounds heavy!) and can be destructive or unhappy if placed in the wrong environment. The fact that they often live from 20 to 50 years (and can live more than 100 years) if cared for right can be kind of scary to some people. Having a snapping turtle is quite a commitment, so think seriously before deciding if you want to keep one of these reptiles.